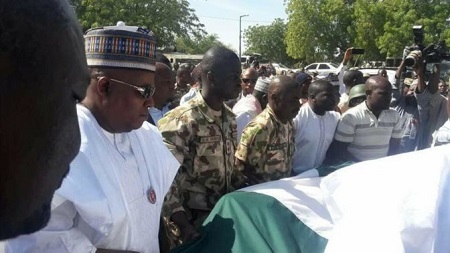 Governor Kashim Shettima was present as a gallant Nigerian soldier killed by his own grenade was buried yesterday. 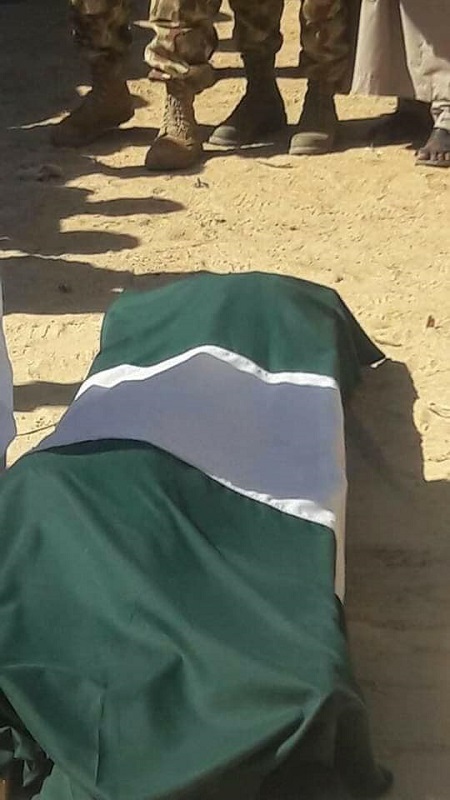 The body of a brave Nigerian soldier, Major MM Hassan, nicknamed ‘Sarkin Yakin’ meaning “King of War”, who was killed when a grenade he was carrying fell off and exploded leaving him with no chance of survival has been laid to rest. 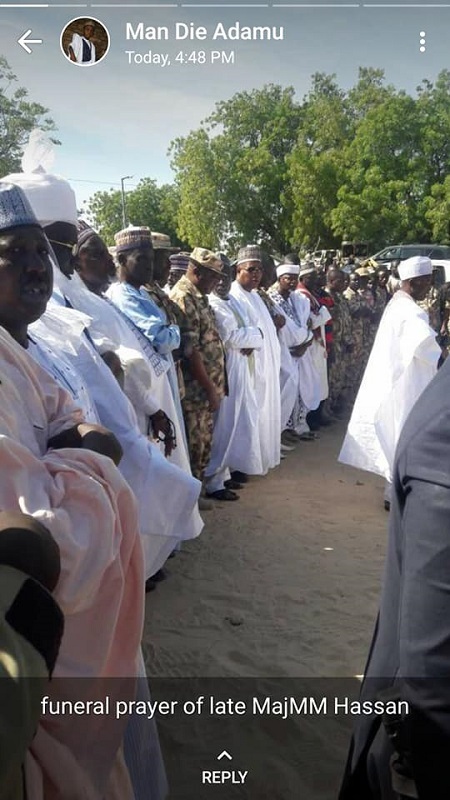 He was buried according to Islamic rites yesterday in Borno state with Governor Kashim Shettima and other dignitaries in attendance. 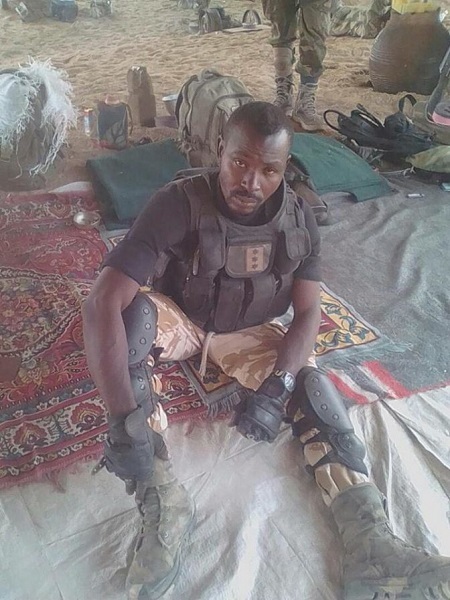 The soldier reportedly died on Friday, January 5, 2018, during the operation Deep Punch offensive against Islamist sect, Boko Haram in Damoboa, Borno State.